Wow, I can’t believe it’s February already! Christmas came and went in a flash. 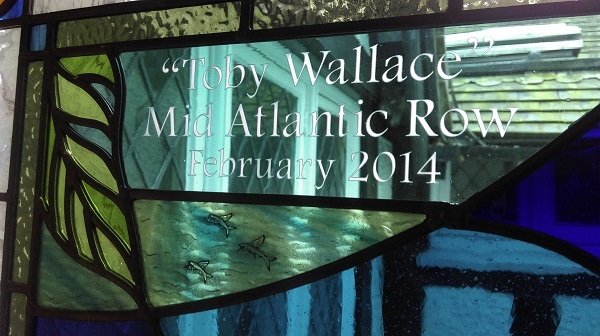 Our main project over Christmas was a stained glass map showing the Mid Atlantic row. 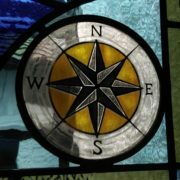 The map charts the progress of the rowing boat which started from the Canary Islands and finished in Barbados. 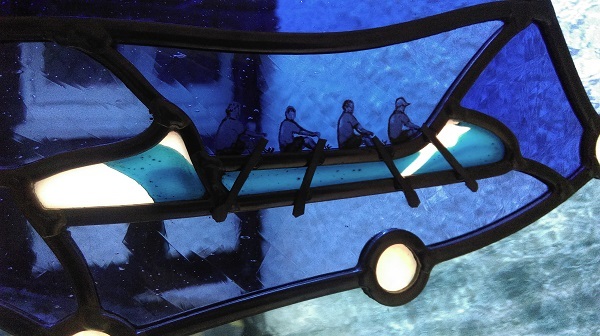 The window was a present for the client’s husband who took part in the row and wanted something to commemorate the whole event. 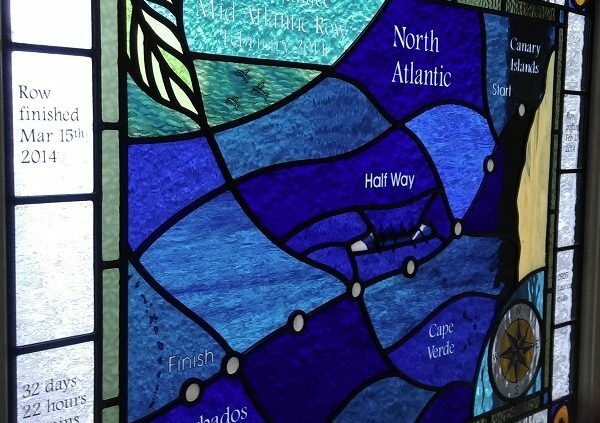 The top left-hand corner shows the flying fish that they saw when they reached Barbados and the names of the rowers are featured around the border along with all the relevant times and dates. 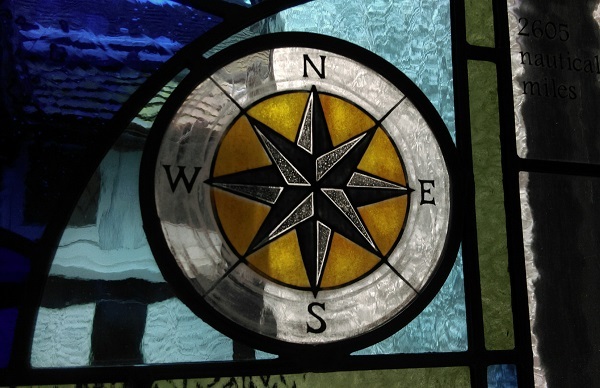 The window was made with a mixture of streaky and flash glass with sandblasted and painted details.